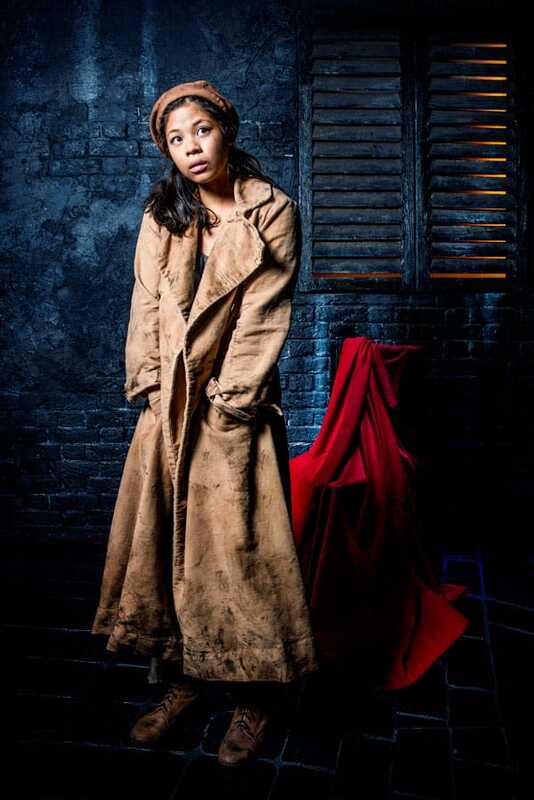 BritishTheatre.com is pleased to bring you this first look photograph of Eva Noblezada as Eponine. Eva opened in Les Miserables last night (4 April). Eva Noblezada wowed audiences as ‘Kim’ in Cameron Mackintosh’s new production of Boublil and Schönberg’s legendary musical “Miss Saigon”, having made her professional stage debut in the role when the musical opened in 2014 at the Prince Edward Theatre. Eva will perform the role of ‘Kim’ when the show opens on Broadway in 2017.